Motto: "Don't bother praying, I'll kill your god too." Shark-lover, dolphin-puncher, Hasbro fan, and all around enigmatic guy. Motto: "Love what you do, do what you love." Actar wrote: The toy in the picture was mistransformed! 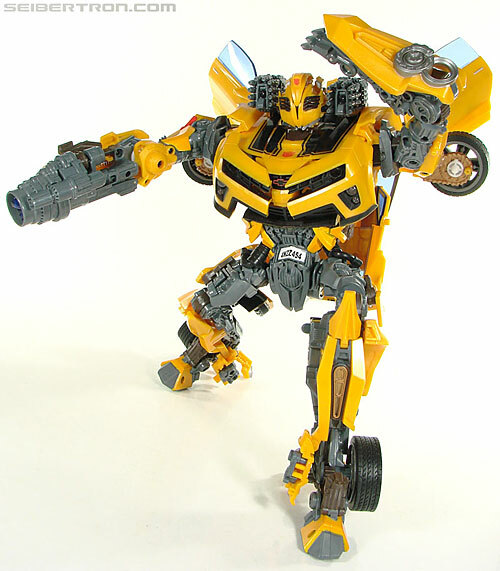 The wheels at the side of Bee's legs fold down and sit in his ankles just like in the movie! That's it. I'm buying two. Does that mean that is the same toy afterall? And if so, are we to assum they are simply rereleasing him? Could it be that he is just there as a reminder of his previous look? No, no. The previous toys had the wheels sit at the side of the ankles as they were attached to them. 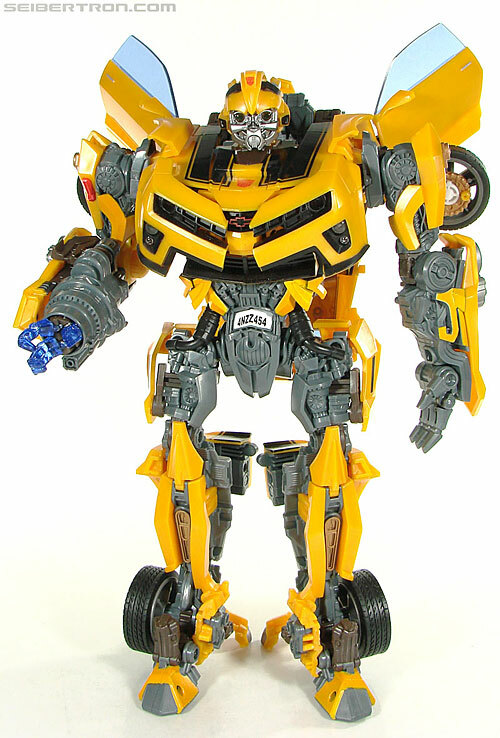 This one has the wheels fold down from the side of the legs to sit in the ankles, which is a first for any Bumblebee figure. The leg transformation is completely different, meaning to say that it's pretty much a completely new figure. From the press conference/video presentation, it seems that this figure will also feature diecast parts as well. Last edited by Actar on Tue Jan 10, 2017 9:11 am, edited 1 time in total. Does anybody think I look cute with glasses? 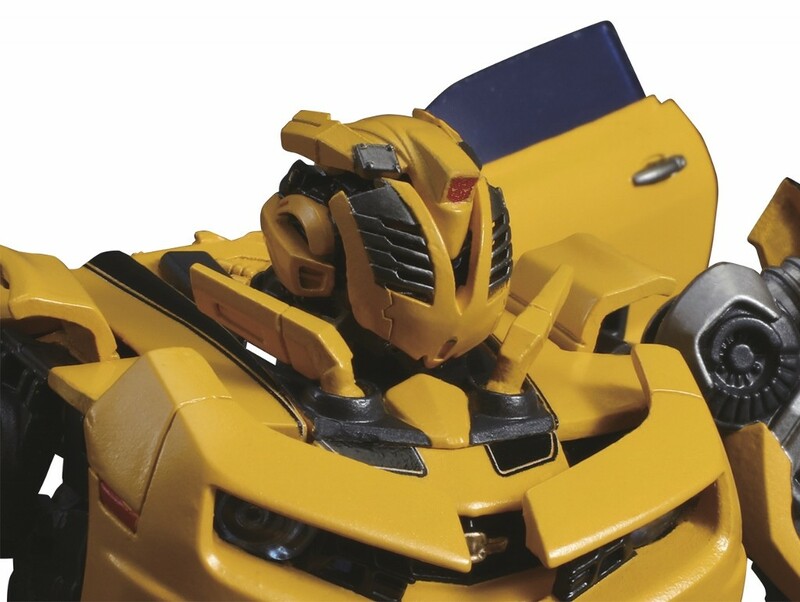 Right, let's take a closer look at old Bumblebee here... 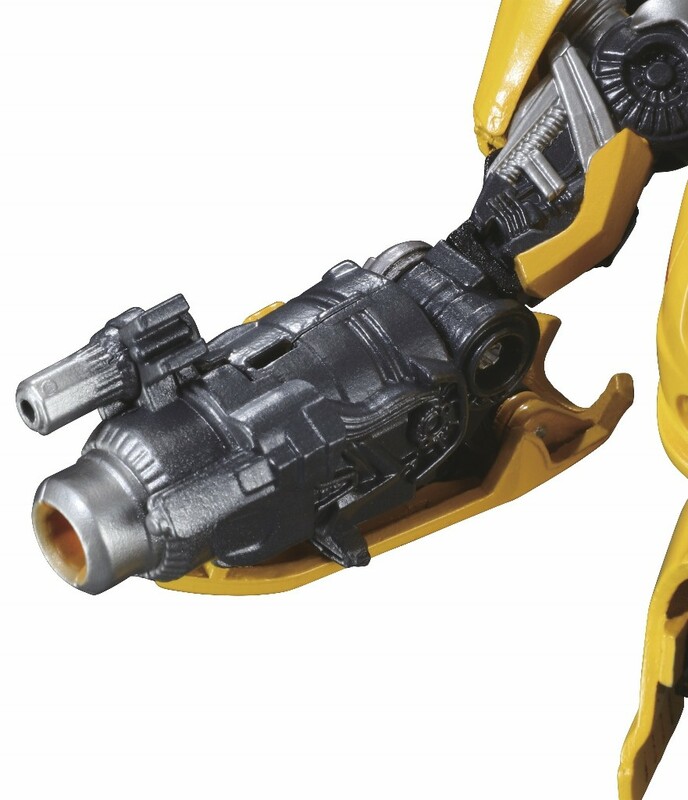 Comparing it to Battle Ops Bumblebee, nope, too many details are off, the least of which is a rotating waist. 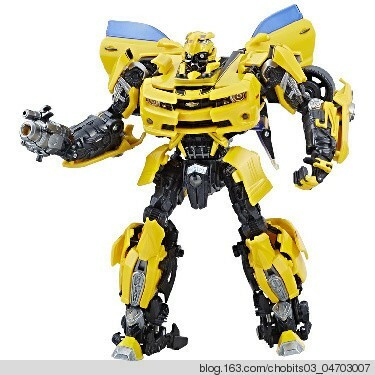 DotM Leader Class Bumblebee is right out, no way are they the same. Tag Hobby has some new images of the recently unveiled movie figures. 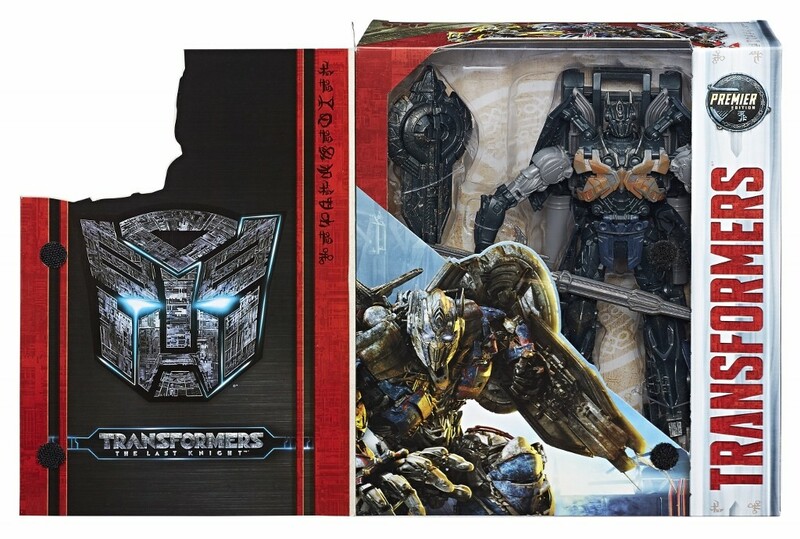 They have a new image of the Age of Extinction Leader Prime redeco in his windowed box but more importantly, they have many promotional images of the new Movie Masterpiece MPM 3 Bumblebee. 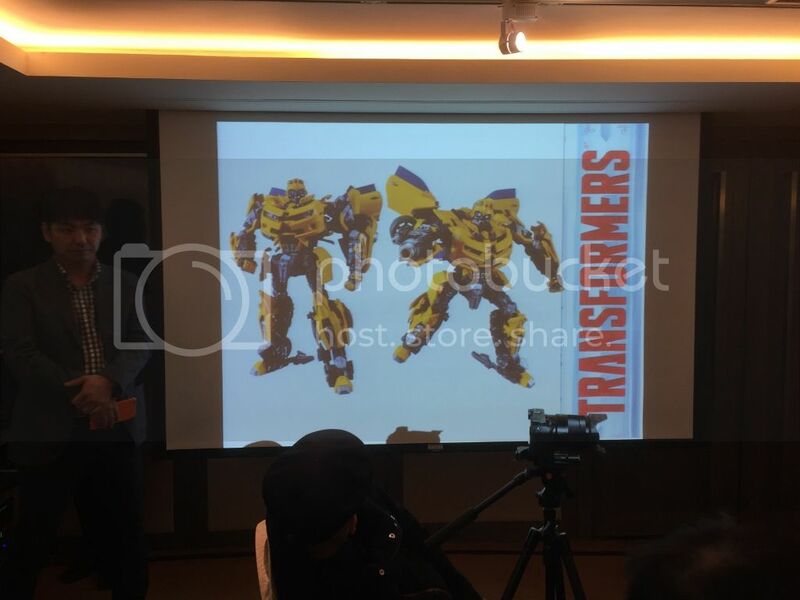 These pictures look more along the lines of what we would get from Takara and the source being Japanese site tag Hobby, along with them keeping the Japanese line's numbering hints that this Masterpeice Bumblebee could simply be a Takara product distributed by Hasbro Asia. 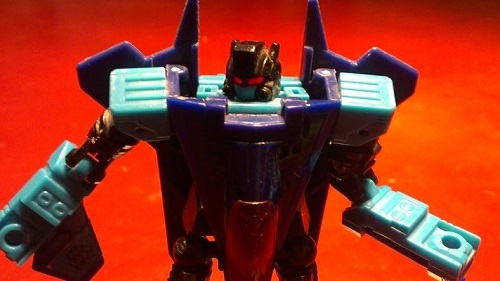 Remember, Masterpiece Dirge was also shown first at a Hong Kong show by Hasbro. This could be the same thing. 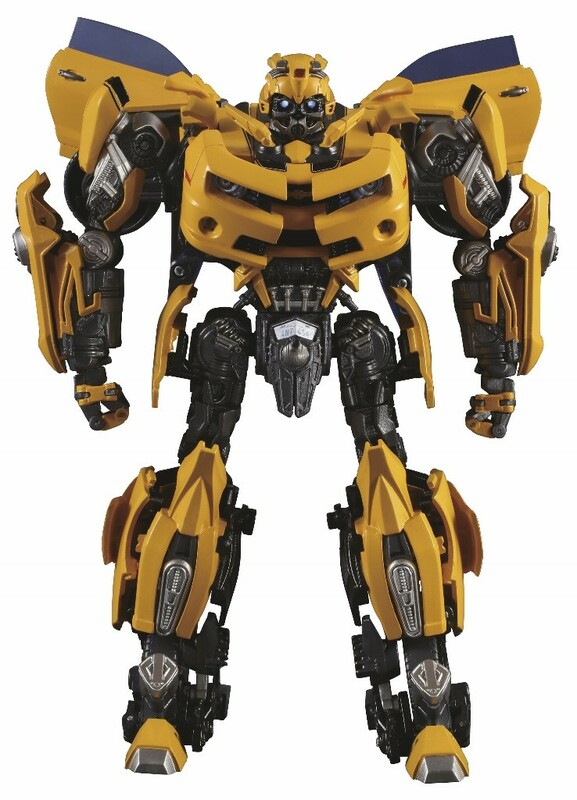 A few more points regarding Bumblebee. 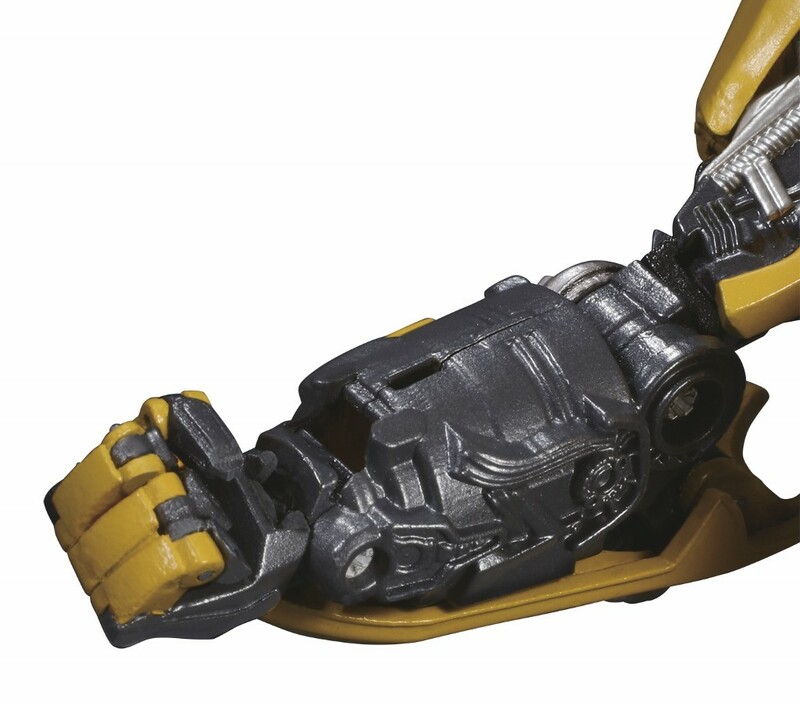 He has some die cast parts and several features, which can be seen in the images, like a battlemask and a transforming hand. He is roughly the size of a Human Alliance figure and MP carbot like Sidesqipe and Wheeljack. Let us know what you think. And enjoy the new awesome images! 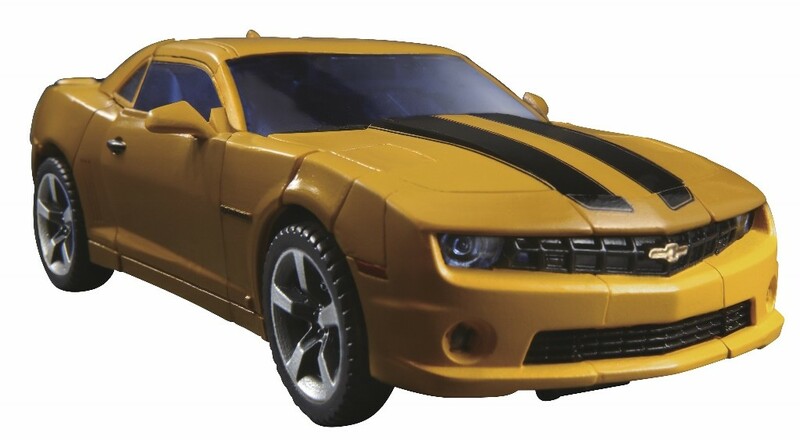 Hasbro Pulse has released some information about the upcoming Movie Masterpiece Bumblebee figure! The press release contains mostly information that we knew about previously, but is still here to give you a little more in-depth information on the upcoming Masterpiece. Read up on the release below, and let us know what you think in the comments section below. The news has broken, and the excitement is spilling out in waves. 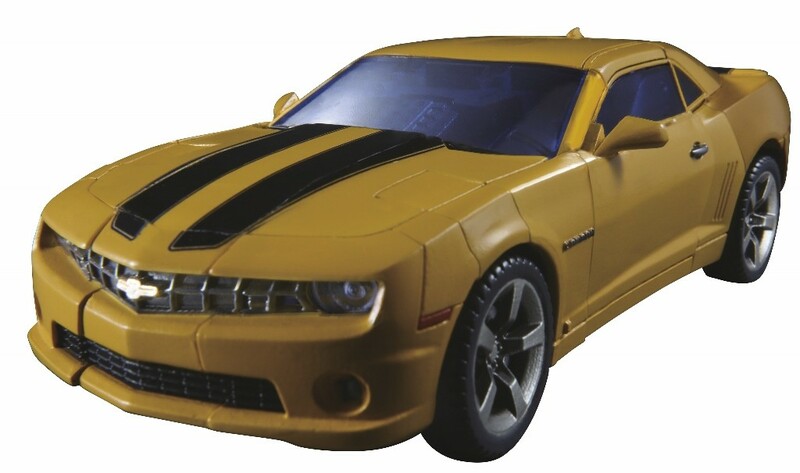 The Masterpiece Bumblebee figure will soon be available, and we assume you—the fans, collectors, and more—have some questions. As a preemptive strike, here are 3 things to know about this monumental action figure! So…when exactly CAN we get it? And what will it cost me? Short answer: Soon! 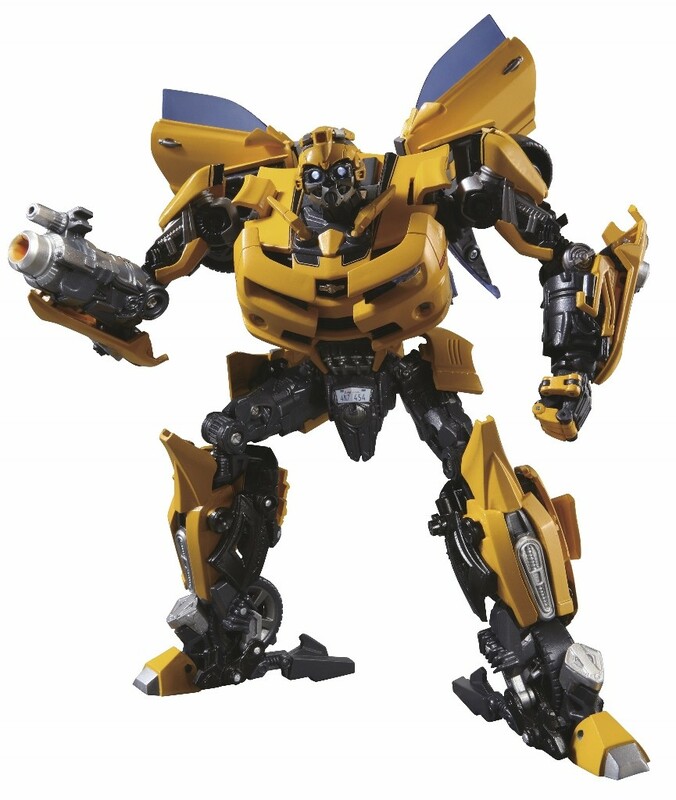 Longer answer: The Masterpiece Bumblebee figure was created for ages 8 and up, and is slated for release in summer 2017. It has an MSRP of $79.99. 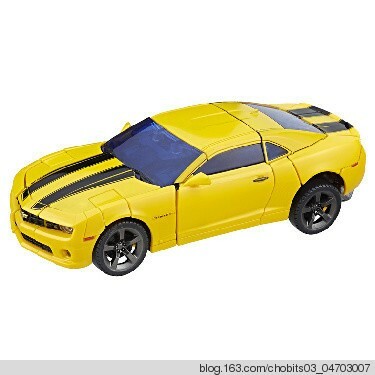 Is this modeled after the TF 5 Bumblebee, an earlier incarnation, or something different all together? 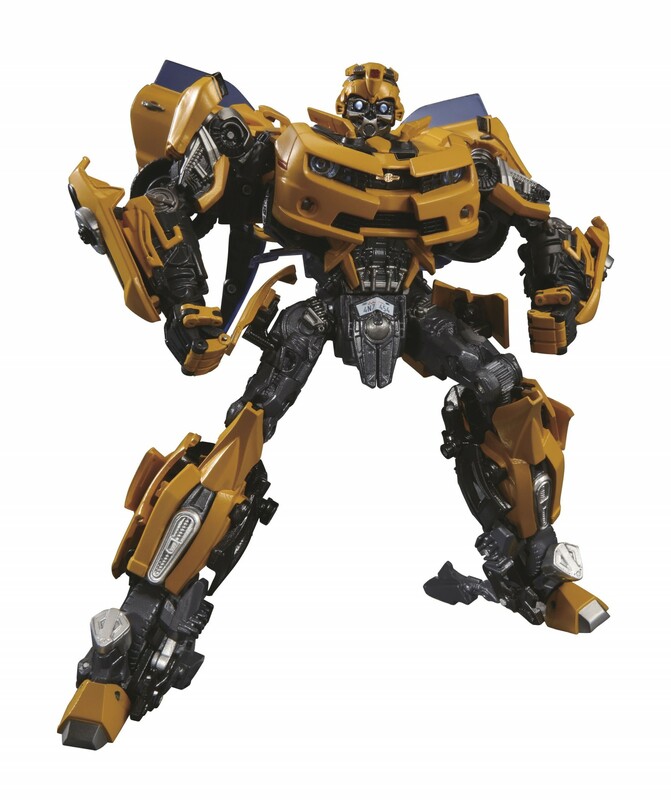 This Masterpiece Bumblebee figure is based on the first Transformers live action movie using some die-cast parts to commemorate the film’s 10th anniversary . . Does it ever! 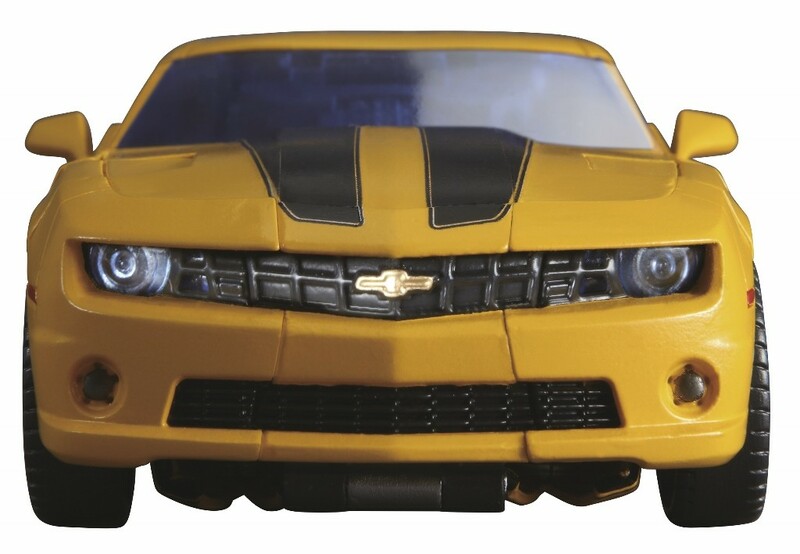 Much like in the first Transformers live action movie, Bumblebee converts from his dynamic, Autobot scout form into a 2006 Chevy Camaro concept car. The figure also has a whopping 33 points of articulation, making it a collectable, and versatile figure. 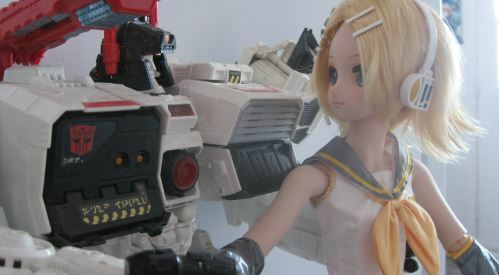 The design premise allows fans to articulate the figure into all sorts of movie-accurate poses! Dengecki Hobby has a 5 hour video of the Japan Wonderfest event with guests talking about the toys they designed. At the 4:32:53 mark, famed Takara designer Hisashi Yuki promotes MPM-3 Bumblebee, as he did with Legends Super Ginrai before. 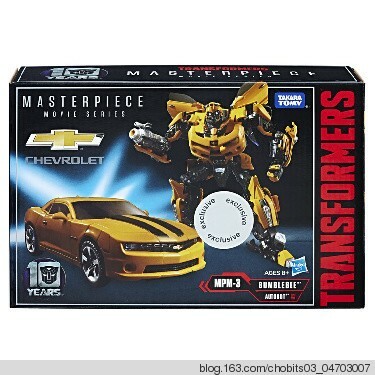 This is a joint Hasbro and Takara design, with both company names appearing on the box. He shows off the features such as the articulation and the battlemask. Me: I'll be damned if I'm going to give any of my money for this stupid, crappy movie junk. Me: well, maybe just a little money. Ironhidensh wrote: Me: I'll be damned if I'm going to give any of my money for this stupid, crappy movie junk. Each MPM figure getting its own thread! This Bee is literally perfect. 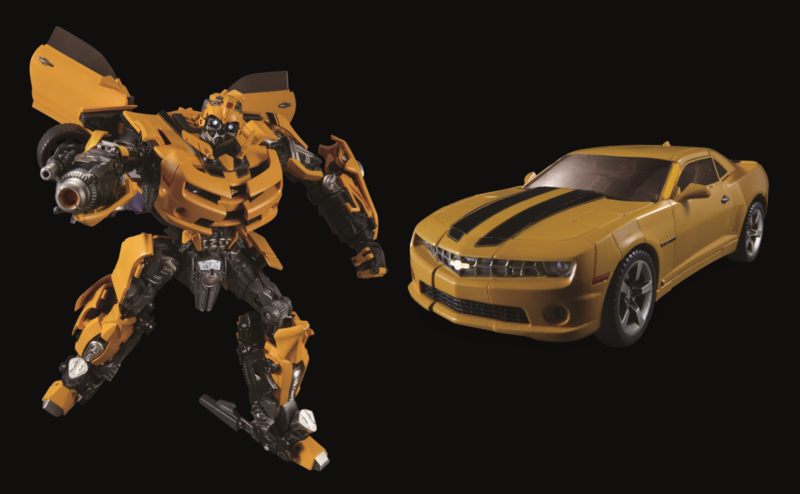 The deluxe 2007 Bee was my first Autobot and 2nd Transformer only to voyager Megatron, so I have a soft spot for the guy. Can't wait to get him! 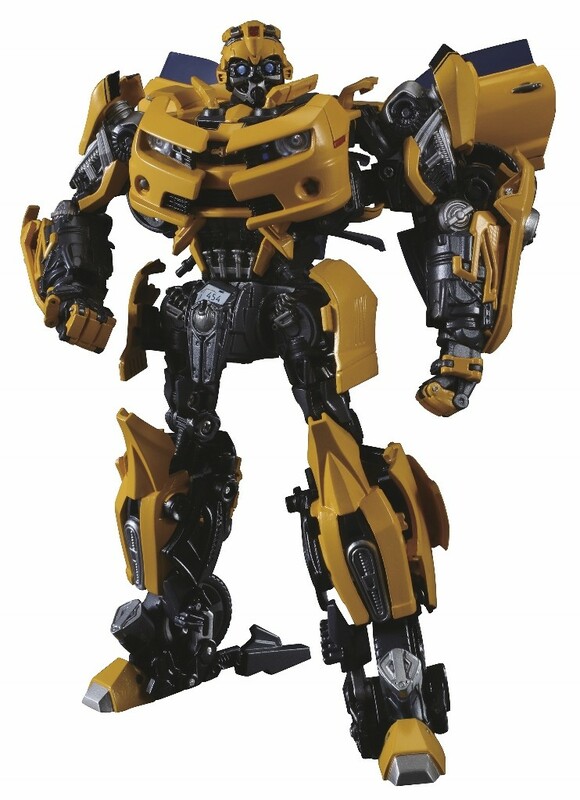 Fellow Seibertronians, courtesy of weibo (again) we now have several stock photographs of the upcoming Movie Masterpiece Bumblebee figure. 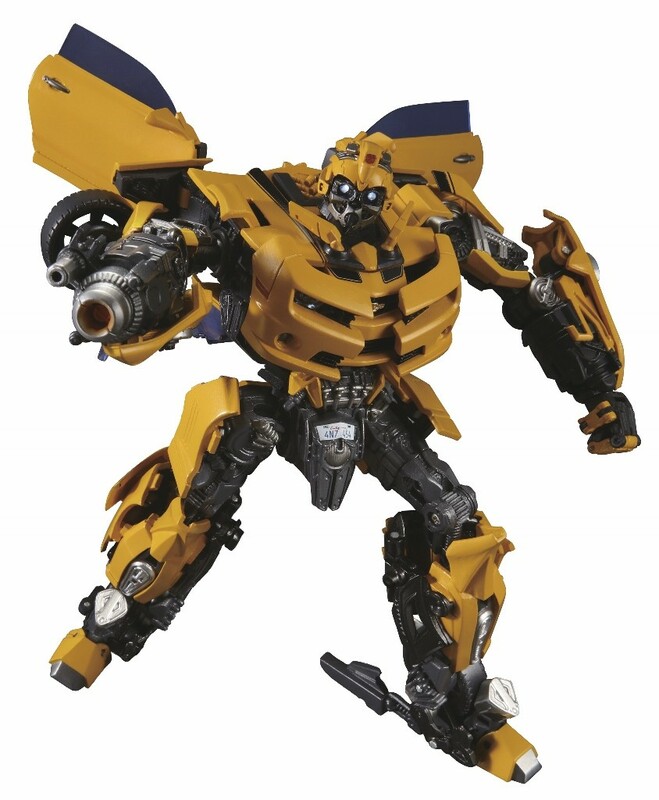 These pictures show that the yellow is of a more vivid hue than other Bumblebee figures tend to be, and that the grey is quite a bit darker than the official pictures would have us believe. 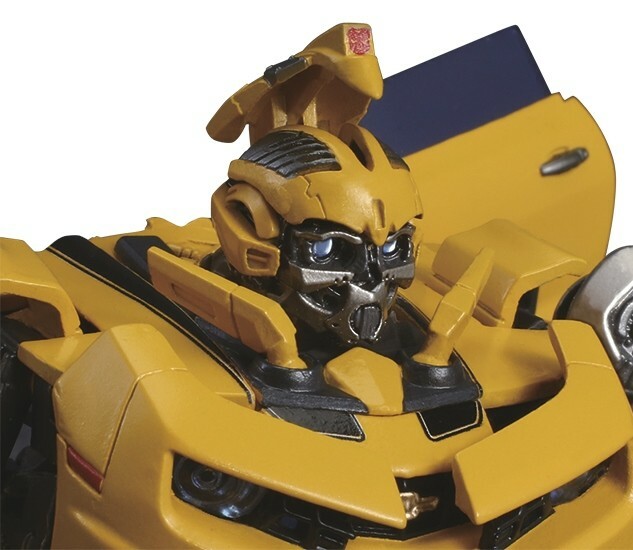 The pictures have been mirrored below, and you can check out the source here, and if you need to refresh yourself check out the official images of MPM Bumblebee and all of its features. What is new here is the "exclusive" sticker seen on the box which confirms the early doubts from the Toysrus listing that it was a Toysrus Exclusive. That means there would be no preorders available stateside as this product is only available on Toysrus, just like what happened with the Chaos on Velocitron set. So what do you think of how this figure is shaping up? Let us know in the comments below. How is it shaping up? As of now (no mmp optimus pics yet), this is the only thing connected to Last Knight that I'm dropping money on. Ironhidensh wrote: How is it shaping up? 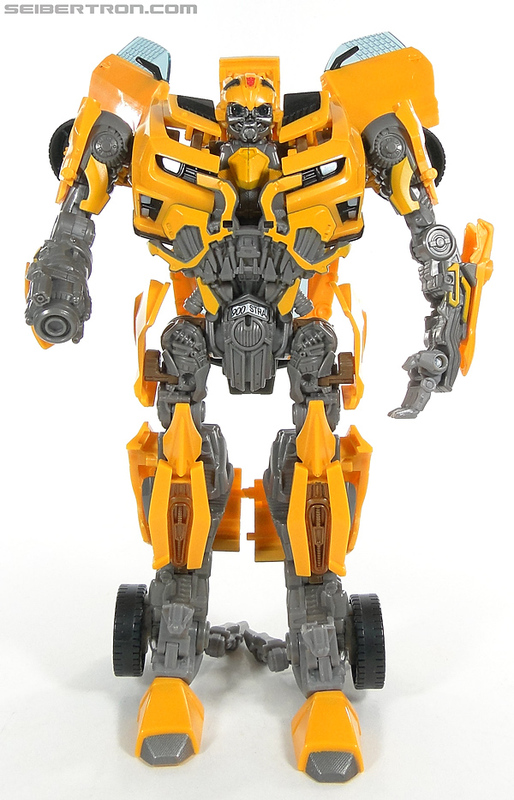 As of now (no mmp optimus pics yet), this is the only thing connected to Last Knight that I'm dropping money on. That nice deep yellow was changed to an eye searing highlighter yellow? and the cool smokey windows are now bright blue? Talk about changes from prototype to final figure. Not liking this so much anymore. I doubt any amount of lighting and photography tricks or lack of skill would account for the smokey gray to now be blue. Even the box shows it as smokey gray. I'll wait for in hand review before actually deciding whether I want it or not. Hasbro version versus Takara Tomy version? but now looking at it they actually arent. Assuming the out of box picks are for the Hasbro Version and the box is Takara as shown in the corner possibly. But I was under the impression that figure was going to be the same in both releases. THAT'S IT?! Yeah, call me spoiled, but I want to see the BACK. They promised the roof will hide inside, making Bee having a REAL back. I'm also curious to see how he'll scale with other MPs. 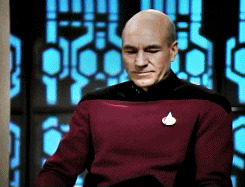 -Kanrabat- wrote: THAT'S IT?! Yeah, call me spoiled, but I want to see the BACK. They promised the roof will hide inside, making Bee having a REAL back. I'm also curious to see how he'll scale with other MPs. Even though Leader Starscream is incredible, Finger crossed for a MP version! 4,567 pages were recently viewed by 910 unique visitors. This page was viewed 1 times on Saturday, April 20th 2019 1:16am CDT. © 2019 Seibertron, Inc. DBA Seibertron.com. All Rights Reserved. Established June 2000. Seibertron.com is owned by Ryan Yzquierdo.